Silence is golden? Perhaps it’s measure of good-old-fashioned teaching. But is it the measure of great learning? As I talk to educators and school leaders about rethinking the way we contextualise education the question of noise regularly rears its head. 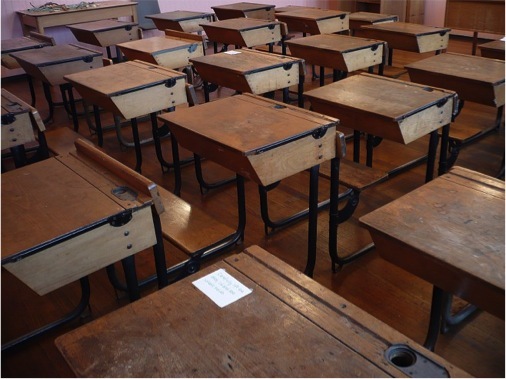 There is a generation of educators and parents who are under the impression that a good education (teacher-centred) can only occur in an environment of silence. I believe that great learning (student centred) requires noise. An international study* has found 43 per cent of Australian students reported ”noise and disorder” as factors in their classrooms. One-third said they had to ”wait a long time for the students to quiet down” and 38 per cent said students ”don’t listen to what their teacher has to say”. (SMH: 8 December 2013) *Study not cited. But Michael Anderson, associate professor in education and social work at the University of Sydney said it was important for teachers to distinguish between productive noise and distracting noise. ”Noise can be productive when it comes out of collaborative learning opportunities that the kids are involved in,” he said. The idea of working in silence, and by inference, individually, is an industrial-era paradigm of productivity. During my own teaching career, I would relish those moments when I looked around the room to see and hear the buzz of productivity as students explored, you could almost hear the learning happening. I would joke with my colleagues that we would schedule a handwriting lesson for a little bit of structured quiet – no communication, heads down. Great learning needs connection, conversation and ‘aha’ moments. As we walk around the open learning spaces at NBCS we ‘see’ learning accompanied by noise and productivity – yet the question from visiting educators is almost always one who asks about noise levels. They tell me about teachers’ headaches and unruly students. We need to ask ourselves, is this fear and trepidation concerning noise a question of teaching or learning? 20 years ago I wanted a classroom that buzzed with learning and exploration, but it took time to reach this. As students and teachers take time to adapt to the new culture it can be tempting to give up before this goal is reached. In the first two years of The Zone at NBCS there was a traffic light noise system, to remind the students when the voices were too loud. As the culture of respectful and productive noise became the norm, the traffic lights were no longer necessary. Finding the right levels of noise for learning takes time and strategy for the right culture to take hold. 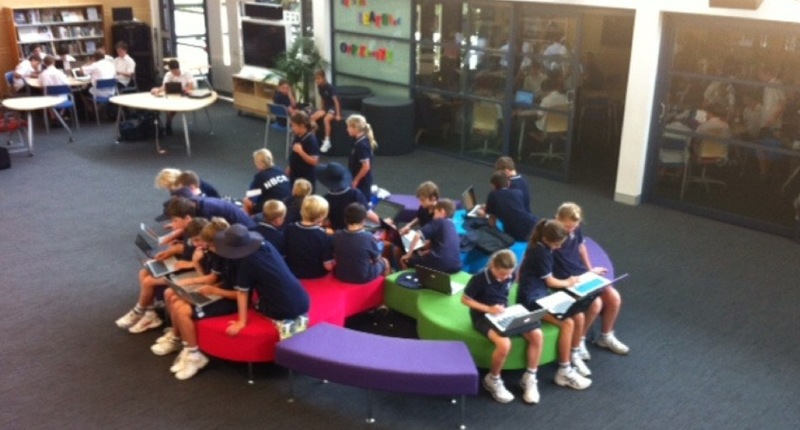 Learning space design requires attention to the key factors that will make noise levels positive and productive.